The International House of Prayer in Pasadena, along with another house of prayer in Kansas City, MO are attracting some attention – unwanted attention. International House of Pancakes, Inc. (IHOP) filed suit last week for trademark infringement. The case is No. 2:10-cv-06622-SJO, filed in the U.S. District Court for the Central District of California. This might be a tough case for the pancake people, for a couple of reasons. First is the issue of likelihood of confusion. One organization is a light n’ fluffy breakfast food chain. The other is a small, aesthetically different house of worship. 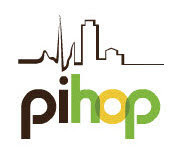 Additionally, the house of prayer in Pasadena actually uses the acronym PIHOP.